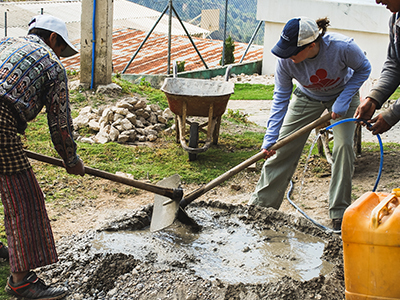 Departing for Guatemala is always the same, everyone is anxious to arrive in the village and get their hands dirty bending rebar, mixing concrete, and digging trenches. You can feel the anticipation as everyone enthusiastically chatters. What's all the excitement about? 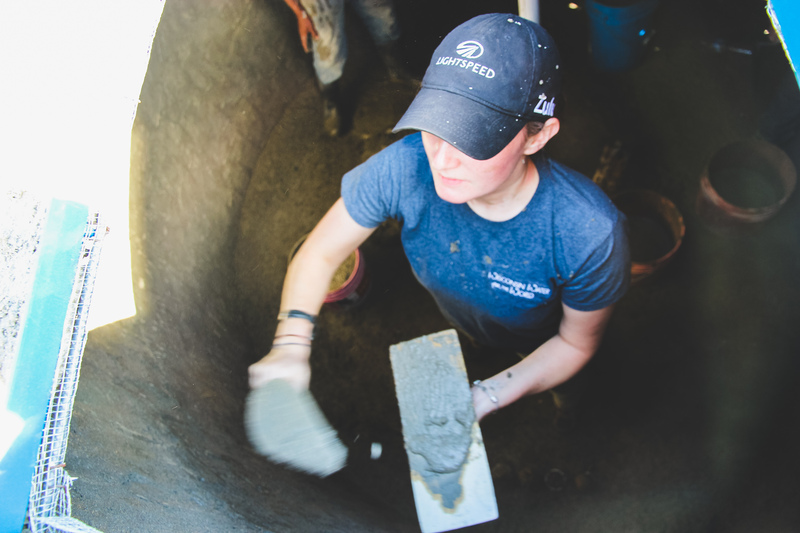 Each March, a group of volunteers with Wisconsin Water for the World travel to Guatemala to help design and install a water system. 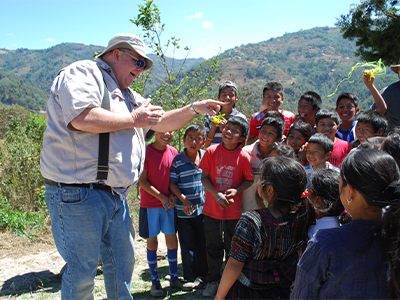 Wisconsin Water for the World is a committee within the Wisconsin Section of the American Water Works Association (WIAWWA) whose mission is to improve the quality of life for communities in the rural mountains of Guatemala by providing safe water and healthy sanitation. It's also a way for us to contribute to goal 6 of the United Nation's 17 Sustainable Development Goals to be achieved by 2030. Goal 6 is to "ensure access to water and sanitation for all." Every year we work in partnership with a local Non-Governmental Organization (NGO) called Agua Para La Salud, which translates to "Water for Health." 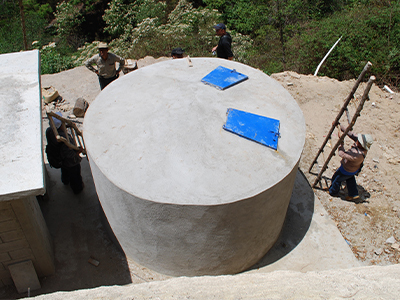 Villages that are interested in a water system contact the NGO. 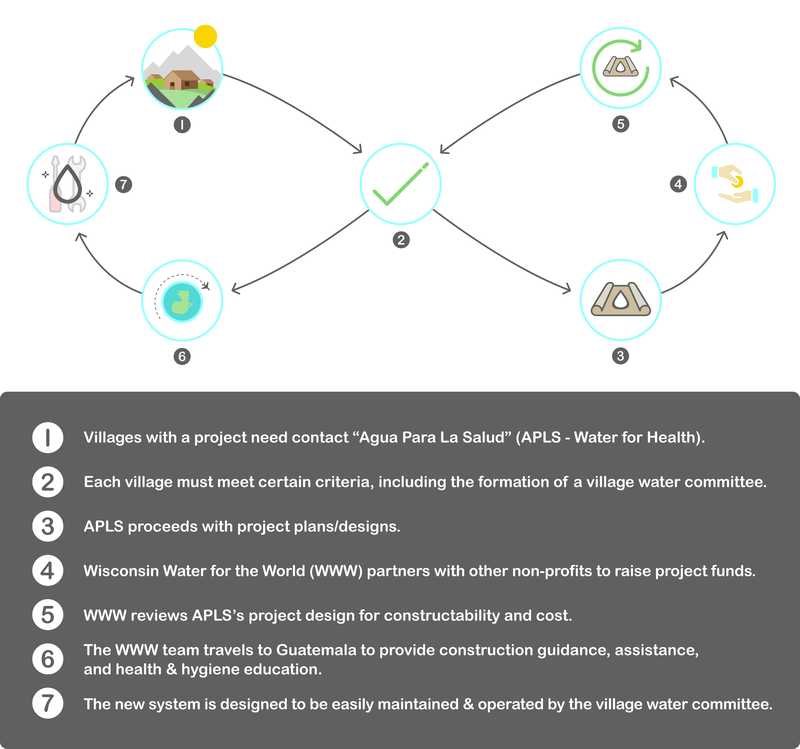 Once selected, the community teams up with Wisconsin Water for the World. Both groups take on different responsibilities for a common goal of ensuring the project is organized, sustainable and successful. It's day one at the project site, and we are ready to get started. We've come prepared wearing work clothes, gloves, and boots with our tape measurers, rebar wire tying tool, and sharpies close-by. We begin working alongside the people from the community that will be receiving the water system. Some of us speak some Spanish, but no one knows the native language. There's some fumbling through conversations as we rely on translators to work out technical conversations. Mostly we communicate with hand signals, drawing pictures, a few words that we have picked up along the way, and a lot of smiles. At lunchtime, we gather to share a meal together that has been prepared by the women in the community. Afterward, we work until we realize that school has ended. Curious children join in to watch us work and often pull us away from our tasks so that we can play soccer, fly kites, build paper airplanes, or draw pictures. At the end of the day, we return to our rooms dirty, exhausted, and feeling alive. Early the next morning we're ready to work again. Familiar faces welcome us back to the job site and we begin where we left off the day before. It's important to educate future generations on healthy hygiene practices while also establishing an understanding that they can be anything. As a woman in the water and wastewater industries, this holds a particular weight for me. Young girls from the village would take an interest in watching me work. They likely do not see women perform construction work or participate in a role that is traditionally a male one. When they see me acting in this non-conforming way, what's possible becomes real for them. I'm grateful for the privilege to show them that they have a place in engineering a better world. Construction continues, but it becomes secondary. The project is now more than water tanks and pipe in the ground. Real connections have been made between people from different cultures, sharing a universal human desire to take care of our families by providing safe water and sanitation. 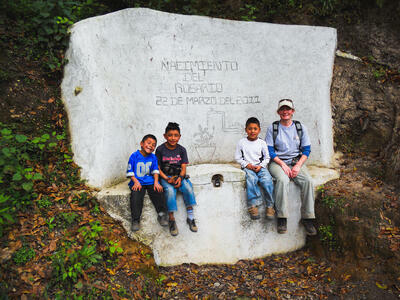 Each of us leaves a piece of ourselves behind in Guatemala and has changed in some way. Back at home, we are humbled and grateful for our seemingly limitless supply of drinking water in our homes. A longing to return to Guatemala for another project begins. Holding onto what we've experienced in our hearts, the feeling invigorates and prepares us for the next trip. It can't come soon enough. Devin Booth is an Engineering and GIS Technician with eight years of experience in municipal water and sewer systems. What she loves the most about her job is supporting local municipal clients to improve their water and sewer systems. As an active committee member with Wisconsin Water for the World, she has a passion for contributing her knowledge to help people in developing communities ensure their access to water and sanitation.